Salwa and Dyme are local artists and activists from New Haven, CT looking to go on a life-changing trip to Ghana. Exploring the many layers of their Black experiences, both artists transform their stories into powerful performances, a medium they often employ in order to actively stay engaged in arts-related youth development programs in their community. With a shared passion for uplifting communities of color in and outside of the Elm City, Salwa and Dyme wish to deepen their connection to their own Blackness. They are now ready to take the next step in exploring and embarking on another layer of this experience: Heritage. 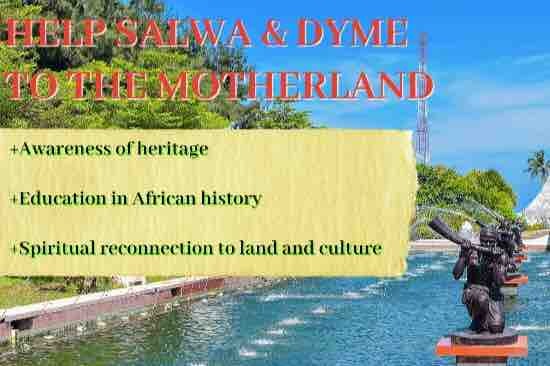 This two-week tour of the motherland will include visits to landmarks in Ghana like Cape Coast, the Aburi Botanical Gardens, the Kumasi University of Science and Technology, and more. By the end of the two weeks, each artist is bound to return with an increased appreciation for their ancestral culture. This opportunity will add a new dimension to the art of Salwa and Dyme, and it will inspire the type of out-of-the-box organizing New Haven needs to be the best it can be. The experience in Ghana will help them to elevate their artistry and activism. As we launch our Go Fund Me campaign, we invite all of you to donate what you can in exchange for goods and services from yours truly! $25+ donations will get you a hand-drawn sketch and a personalized thank you letter. $50+ donations will get you a 30-minute Reiki session and a personalized thank you letter. $100+ donations will get you a 60-minute Reiki session, self-care package, and a personalized thank you letter. $150+ donations will get you an exclusive zine of poetry by Dyme and Salwa, a Reiki session, and a personalized thank you letter. Act now! These special offers will only be available from August 30th to September 9th. Salwa Abdussabur is a local queer artist and activist. They are a Teaching Artist and Youth Organizer for The Word Poetry working and mentoring young people to be poets and culture creators. Salwa has performed in many events such as No More Water/ The Fire Next Time: The Gospel of James Baldwin at Park Avenue Armory in New York City, (Be)longing at Long Wharf Theater as apart of The International Festival of Art and Ideas, Open Studio Lituarey Happy Hour, Opened for a A Job to Unwork at Artspace, Opened for Ruby Sale at C.E.I.O. Deeper Change Forum as well as various community works and organizing. When Salwa is not "spitting bars," leading workshops or prancing around on stage they are speaking their truth at rallies and marching for social justice. 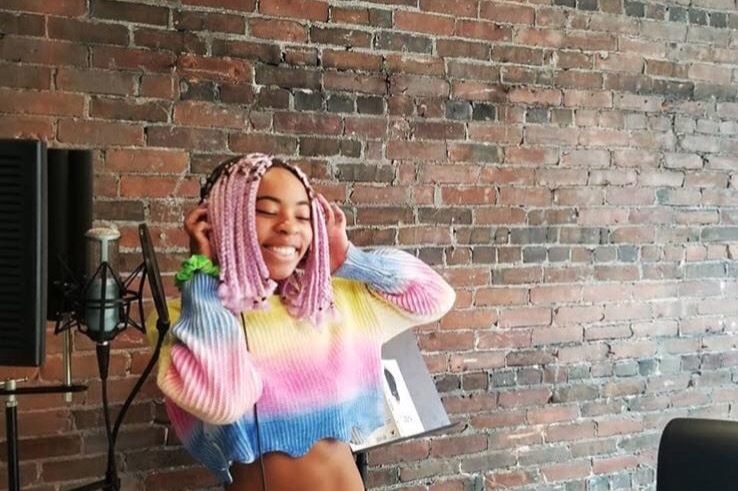 They hope that by being apart of these transformative spaces combining art and activism, collectives, and self-expression they help change the narrative of what it means to be young queer people of color. Salwa hopes that through their performing, marching, and rallying, organizing, and “spitting bar” that minority youth, in not just New Haven, but in this country and throughout the world will get the opportunities and resources they deserve to thrive and not just survive. Despite all that, they know it starts within yourself and within your community. Ashe. Dymin “Dyme” Ellis is a multifaceted womxn from New Haven, CT with the mind of an activist and the heart of an artist. After graduating from Hill Regional Career High School in 2015, Dyme went to college in Boston. There, she had become heavily involved in the Black Student Union and the Queer Student Alliance. It was within these organizations that Dyme had first been introduced to organizing and activism. 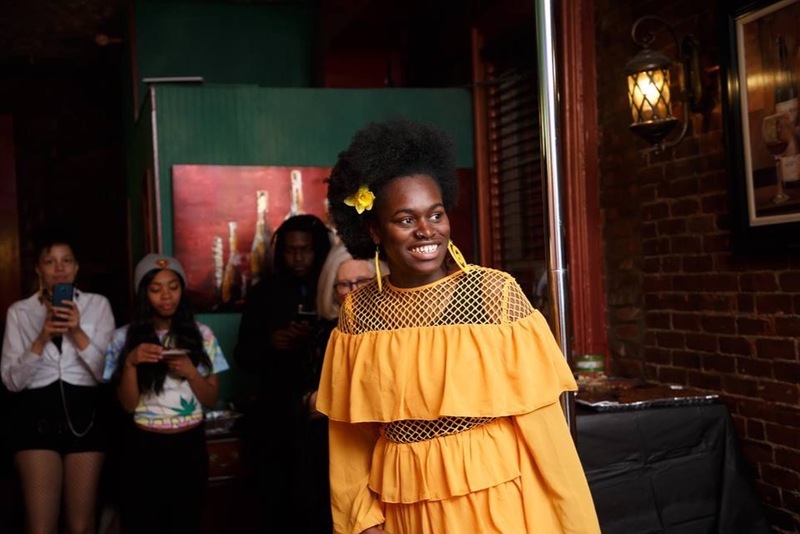 After a year in Boston, Dyme returned to New Haven and transferred to Southern Connecticut State University as an English major with a concentration in professional writing (though she takes as many creative writing courses as she can fit in her schedule). If she isn’t on campus, Dyme can be witnessed rallying with activists along the East Coast. With activism in mind, Dyme has attended Liberation Open Mic in Harlem , New York City Pride Parade , and the People’s Congress of Resistance in Washington DC. Understanding her privilege as someone who is able to travel to interstate demonstrations of resistance in the name of mass incarceration, reproductive rights, Black and queer liberation, Dyme always returns to her hometown with a drive to make changes in the local community. Eager to put her organizing skills to work, Dyme took on a project called Kindom Cafe Open Mic during the summer of 2016 for which she had written a $3,000 grant, received from the Mayor's Neighborhood Cultural Vitality Grant Program. Dyme worked for twelve-months building a safe space for young performing artists of New Haven. Now it’s 2018 and Dyme is grounding herself as an artist and activist. She has joined The Word [Citywide Youth Poetry Jam] as a “Wordsmith,” a youth poetry workshop facilitator who inspires marginalized high school students to share their experiences. She has performed her original spoken word poetry at Toad's Place, the International Festival for Arts and Ideas, Artspace New Haven, and many other venues. With a mission to heal and elevate the community, Dyme utilizes her skills as a Reiki master to rejuvenate the minds and spirits of those in the neighborhood. She has provided Reiki healing and divination services at Compassionfest for the past two years. Dyme is also a panelist and organizer for Urban Perspective Collective: Black Minds Rewired for which her goal is to spread awareness of the importance of mental wellness in Black and brown communities. As someone spiritually embedded in her Blackness, her art, and her activism, Dyme is excited for the opportunity to spend two weeks in Ghana, where she will be immersed in the culture that makes up her ancestry.